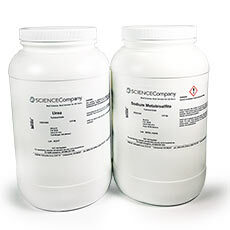 2.5kg bottle of Sodium Metabisulfite (NC-12597). 2.5kg bottle of Urea (NC-9275). Sodium metabisulfite is commonly used to precipitate dissolved gold out of aqua regia and gold chloride solutions. When it is dissolved into water, sulfur dioxide gas is created which is excellent at precipitating gold from the solution. Sodium metabisulfite is a popular choice in this process because it is more selective in precipitating gold by itself. 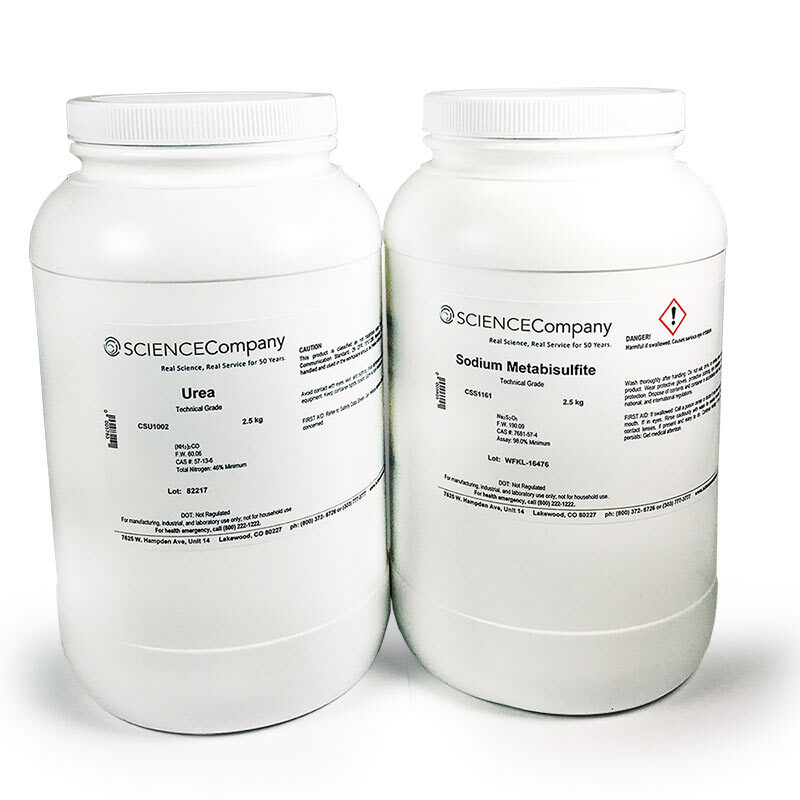 In the process of gold extraction from scrap computer electronics parts, Sodium Metabisulfite is usually used along with Urea. To make aqua regia solution you will need Hydrochloric Acid and Nitric Acid. These are sold separately from this kit. This kit is a convenient way to obtain some of the chemicals used in scrap gold recovery. Please follow your own instructions for performing gold and other precious metals precipitation from aqua regia solution. This kit provides two chemicals commonly used in gold recovery from printed circuits boards. Both are used after you have dissolved your gold in an Aqua Regia solution (Nitric and hydrochloric acid). Note that this kit DOES NOT include nitric acid or hydrochloric acid. You can purchase these items separately. The Urea is used to neutralize the pH of the nitric acid in the Aqua Regia. After treatment with urea, the Sodium Metabisulfite is applied to precipitate (drop out) the pure gold from the Aqua Regia. More information about the whole process is available from various gold recovery websites and forums such as www.goldrefiningforum.com, and www.scrapmetalforum.com.